Contracts are an everyday part of doing business. In fact, they are the very foundation of nearly all business transactions. As such, contracts are a significant area of business and commercial litigation. Our Colorado commercial litigation lawyers at Burg Simpson pride ourselves on providing national and international corporations, regional and local businesses, as well as individuals, the most comprehensive legal representation when disputes arise concerning their business contracts. We can handle routine disputes as well as the most complex of disputes. 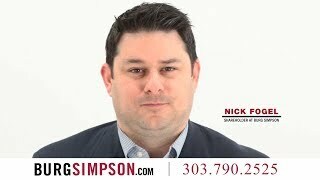 Please call Burg Simpson immediately at 303-792-5595. Bilateral – A bilateral contract features two parties who each promise to perform certain things. Unilateral – This is a contract in which one party demands performance from the other, instead of a promise. Express – This is a contract where the elements and terms are explicitly stated. Implied – These contracts are created by each party’s actions and are not clearly specified. Voidable – A voidable contract includes the option for either party to terminate it. Simple – A simple contract needs nothing more than the agreement between the two parties; no witnesses, no signatures, and no seals are needed. Formal – The opposite of a simple contract, this agreement requires a written, signed, witnessed and sealed document. If you are stuck in a commercial dispute because of a breach of contract, call 303-792-5595 to discuss your case with our Colorado corporate litigation attorneys at Burg Simpson for help right away. How Do I Handle a Breach of Contract? A breach of contract occurs when any party fails to perform any term of the contract without a legitimate legal excuse. Breach of contract is one of the most frequent reasons for lawsuits and damages. Typically, these disputes can be resolved if the parties can agree on a contract modification. Typically, the statute of limitations on contract breach allegations can vary from state to state, contract to contract, and almost always include exceptions and/or inclusions. Generally speaking, Colorado allows three years for a breach lawsuit over a written contract, two years for an oral agreement, and two years for tort actions stemming from a breach of contract. We will provide you with the experience and expertise necessary to help evaluate and resolve any contract disputes you have encountered in a cost-effective manner, whether it is through a negotiated settlement or litigation. Call a Colorado corporate litigation attorney today at 303-792-5595. 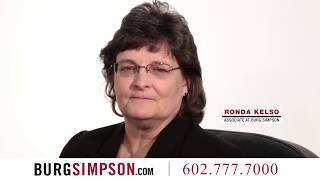 If you need strong, experienced courtroom advocacy in any business or commercial matter, we are here to help. Burg Simpson’s Denver corporate litigation lawyers have the resources and experience to fight for your rights and protect your business. 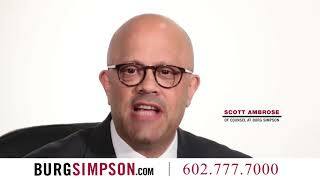 Burg Simpson is here to help with any contract dispute you might be having. Call us right away at 303-792-5595.